Today, we are broken by the loss of our leader, Paramedic and EMS Director Rick Hartley. Selfless Service. Humble Leader. Natural Educator. Unparalleled Commitment. Forward Thinking. Compassionate Caregiver. Rick personified all those things and more. With more than 30 years experience in Emergency Medical Services, Hartley dedicated much of his adult life to furthering EMS; not only in his own hometown of Springfield, Colorado, but also across the entire state. 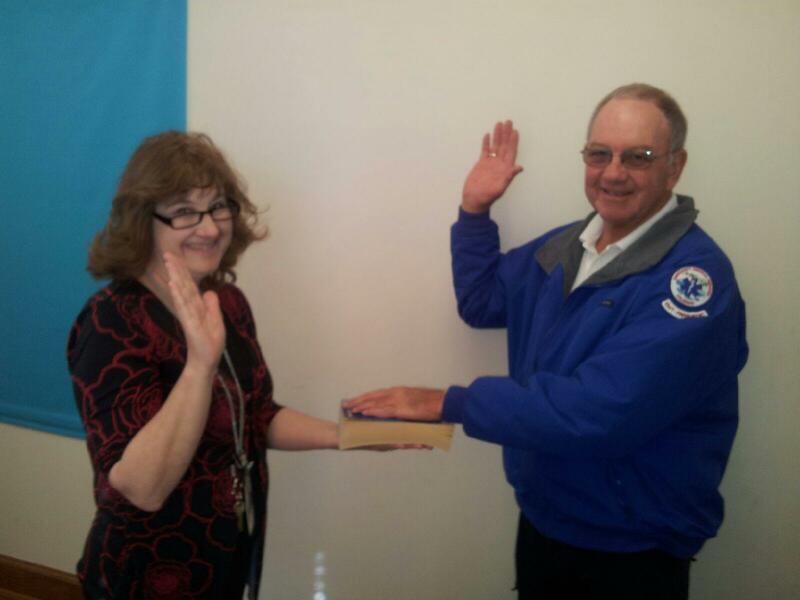 Before becoming the EMS Director for Southeast Colorado Hospital Ambulance Service in 1992, Rick volunteered as an EMT beginning in the 1980s. After taking on his leadership role, he continued advancing his knowledge and finally became a paramedic—the agency’s first. Committed to education, Rick was an excellent teacher and certified to instruct a wide variety of Emergency response classes for health professionals and the general public. For years, he has taught a CPR class and offered it free to anyone in the community. He also organized the county-wide injury prevention program for school age-children and was a champion of suicide prevention and awareness. Always looking for ways to improve the community’s safety and quality of care, Hartley founded the Springfield EMS Association, a non-profit organization dedicated to supporting the local ambulance service in fundraising and education. His tireless efforts in grant writing have resulted in nearly 1.5 million dollars of funding toward acquiring state of the art supplies, purchasing new ambulances, and providing training for his community, his agency and surrounding EMS agencies. Rick also served on the State Advisory Council on Emergency Medical Services for the state of Colorado and was a member of the Southeastern Colorado Regional Emergency Trauma Advisory Council. Hartley’s true love of EMS, though, was always in providing hands-on emergency care to those in need. While his job meant meeting people at the worst moments of their lives, Rick was always the calm in a storm. His skill and compassion left people with the knowledge that someone was fighting for them, and the feeling that somehow everything would be okay. Rick spent much of his off time as a mentor for youth in the community—serving as a high school track coach and athletic trainer for the Springfield Longhorns. 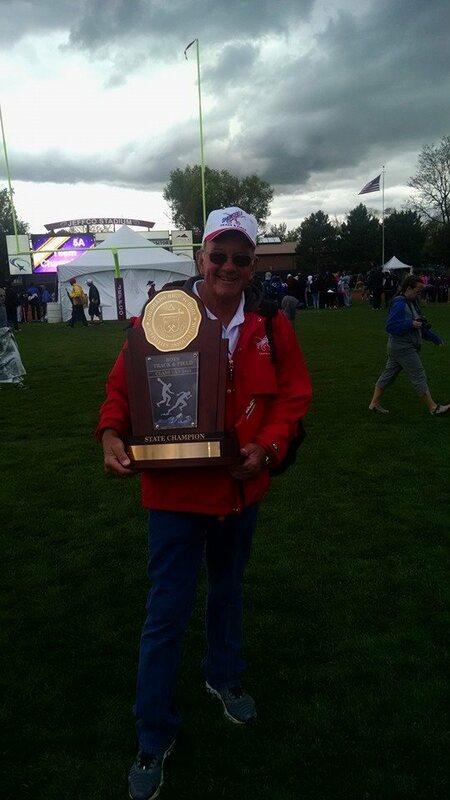 In 2015, he was named CHSAA Class 1A Track Coach of the Year. It is hard to imagine how we could be so deeply grieved and yet so profoundly blessed. As our hearts are in pieces, the community and our EMS/Fire family have wrapped their arms around us in this very difficult time and poured out love in a measure far greater than we know how to accept. It is overwhelming but we are so grateful for all the support and help. Words are not enough but they are all we have, so thank you. Please continue in your prayers for his family and all those so intimately affected by his passing. So much more could be said about the man who meant so much to so many in this closely-knit community. Rick was a great mentor, teacher, friend, and paramedic—the definition of a hero—and his loss is felt more deeply than words can describe. Paramedic Rick Hartley, EMS 13, end of watch 11/6/15. After 32 years of service, you have completed your mission. You have been a great husband, father, and friend; a compassionate leader, and a selfless servant of all. Thank you for your service and sacrifice, you are deeply missed. May you rest in peace, friend, we have the watch. Donations will be used to complete a project at the high school Rick wanted to achieve. Arrangements by Dykes Funeral Home of Walsh, CO.